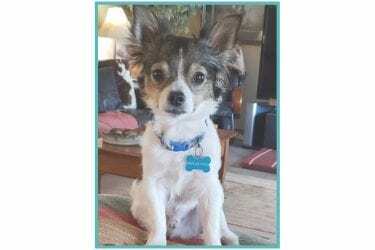 Meet Levi – He is a 2 year old / 8lb Papillon/ Chihuahua mix. He’s house trained, and loves to be with people & other dogs. He rides well in the car and is leash trained. Levi has a cute little ring tail & loves sitting in your lap! He has had all his shots, micro-chip, neutered & tested for heartworms (negative). If interested in adopting this handsome little boy, please fill out the online application.